Review: 'Jane Eyre' is required reading for most high school English classes. I remember reading it as a teen and loving it. When I saw it was a free Kindle download, I decided to reread it. Rereading any book can be challenging when you know the plot and ending. I've reread many books in throughout the years but this was tough to get through. I suppose that as a teenager I related to Jane in many ways but as an adult, I found her whiny and unlikeable. For those unfamiliar with the plot (**spoiler alert**) Jane is an orphan who seeks love. She has a rough childhood (uncaring aunt, sadistic cousin), difficult time at boarding school and then becomes a governess for an older man. She falls in love with him, ends up forgiving him for misrepresenting his marital situation and they end of together. 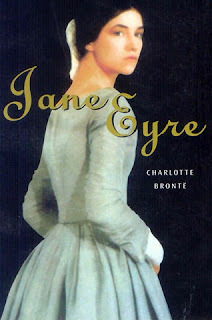 While 'Jane Eyre' is well written and the overall plot has some interesting points, this novel was extremely dry and boring. I plan to reread it again in 15 years to see how/if my opinion changes.